The supply and servicing of Hygiene equipment such as Air Fresheners, Soap Dispensers, Hand Driers and She bins forms a large part of our cleaning activities. Being part of a successful franchise group, The Specialists, is both rewarding and challenging, and offering a great service to our clients is non-negotiable. We strive to offer the best price, best service, best relationships, and continually leave our clients smiling and satisfied. In any client based business offering a great service is paramount to the success of that business. We take this very serious. 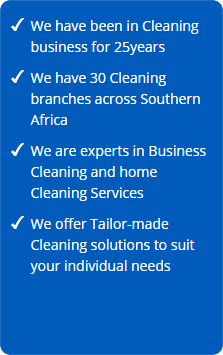 With over thirty years of combined business experience we are able to run this branch of The Cleaning Specialists in Zululand very efficiently and affect the necessary marketing tools required to inform our local clientele of who we are and what we do. 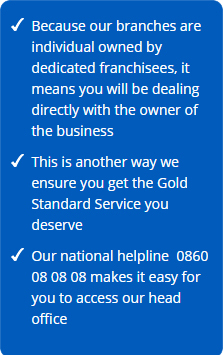 We are operating this branch from May 2017; by working for the branch (prior to purchase), learning the business and finally becoming one hundred percent BBBEE female branch owners. Areas given attention to are from along the coast: Stanger to Empangeni and Richards Bay to inland Nongoma | Ulundi and the entire region. As well as across the border to Mozambique. 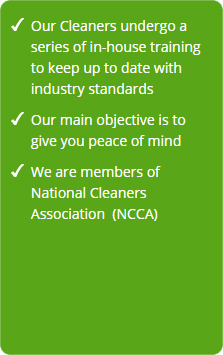 Cleaning Specialists in Zululand are an industry leader in providing environmentally safe, reliable and superior services in order to protect our customer’s health, food and property. Trusted and Recommended since 1991.